The National Institutes of Health is spending over $500,000 for a study that aims to fight obesity by making people take the bus. The study, being conducted by Texas A&M University, will let residents of El Paso take the bus for free to see if walking to the bus stop and riding the bus will help them lose weight. Taxpayer-funded researchers call taking the bus to lose weight "innovative." 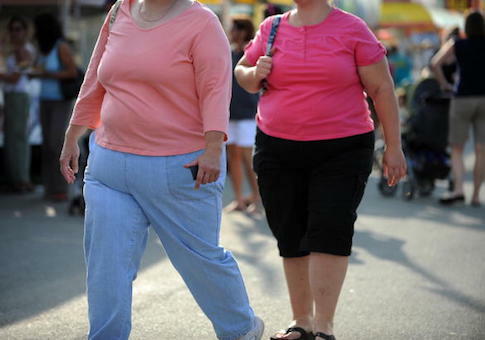 "Obesity, which poses a major risk factor for the onset or exacerbation of many chronic conditions in the U.S (e.g. cancer, diabetes, and heart disease), calls for innovative intervention approaches to promote physical activity as a major intervention strategy," the grant for the project states. "Although a promising new form of transit that combines the capacity, speed, and reliability of a rail transit with the flexibility and cost advantage of a conventional bus system, Bus Rapid Transit (BRT) has never been rigorously studied for its health-promoting aspects." Researchers claim using public transit is "associated with increased physical activity, and considered a promising approach to reducing the risk of obesity and other age-related chronic conditions such as cancer, diabetes, and heart disease." The project will study 750 "exposed" people—those living within a half mile of a bus station—and 500 "non-exposed" people living more than a mile away from a bus station. The study will also develop a smart phone app to educate people about taking the bus and allow them to use the bus for free. "There will be three waves of data collection in spring 2018, spring 2019, and spring 2021, respectively," the grant states. The project began in March and has received $583,211 from taxpayers so far. Research is scheduled to continue through February 2023. This entry was posted in Issues and tagged Government Spending, Government Waste, Obesity. Bookmark the permalink.